We are excited to announce that Puukuokka Housing Block is one of the five finalists in housing category for the ArchDaily Building of the Year Award 2016! Puukuokka was selected from over 3 000 projects. Over 18,000 architects and enthusiasts participated in the nomination process, choosing projects that exemplify what it means to push architecture forward and capture architecture’s capacity to spark positive change in the environment. These finalists are the buildings that have most inspired ArchDaily readers. You can find more info and vote for Puukuokka here. You can vote until February 8th, 2016 at 11:59PM EST. Go vote for Puukuokka now! The first building in the Puukuokka Housing Block was just recently completed. 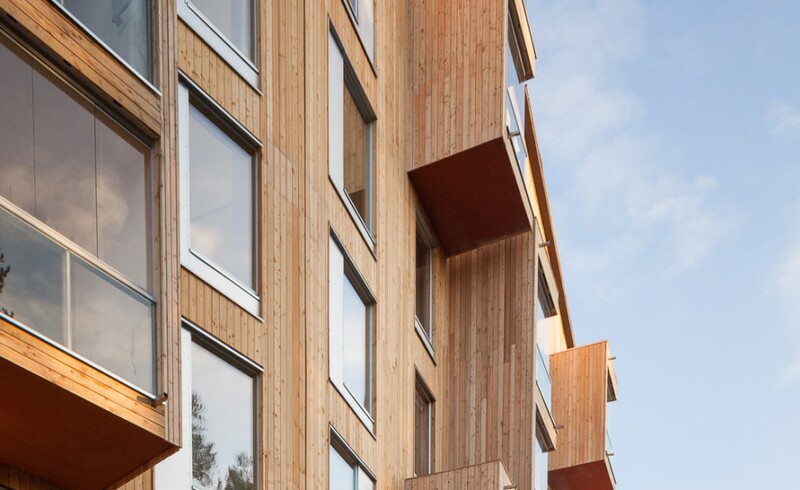 Puukuokka is the first eight-story high wooden apartment building in Finland. 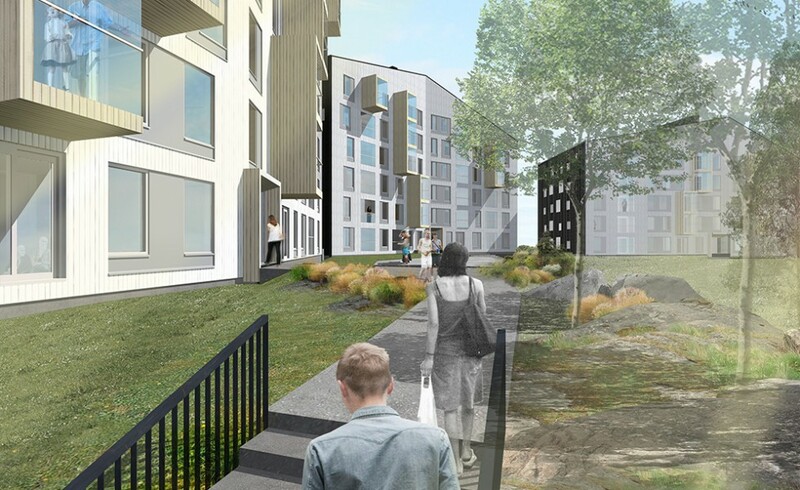 Developed in collaboration with Lakea, it is an energy-efficient trio of multi-story wood-framed flats in the Jyväskylä suburb of Kuokkala, neighboring the Kuokkala Church, also designed by OOPEAA. We are glad to share with you some of the recent press coverage presenting Puukuokka. 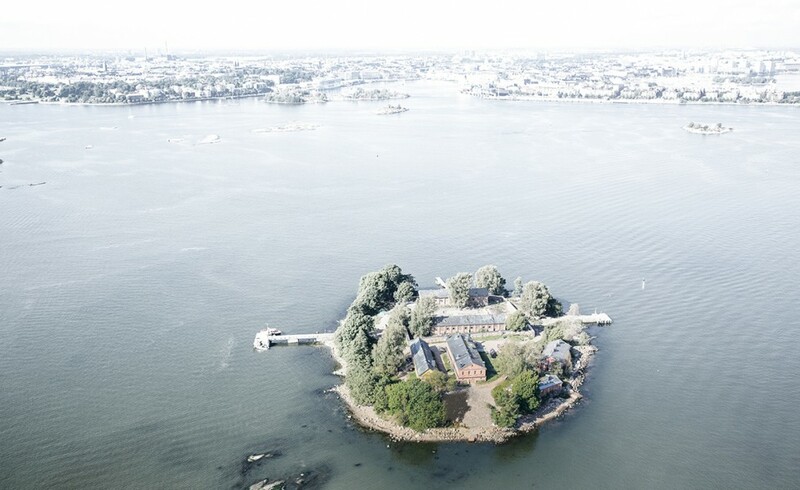 The OOPEAA team is thrilled to be working on a new project for a public sauna to be located on the small Lonna island, between the “Kauppatori” Market Square in the heart of downtown Helsinki and the Suomenlinna fortress, one of the Unesco world heritage sites. The new building is commissioned by the Governing Body of Suomenlinna. OOPEAA is happy to announce that the first block of the Puukuokka Housing complex is ready! This week the residents will start moving in into their brand new apartments.